Below is the detailed log of my observations on 1st/2nd June 2015. 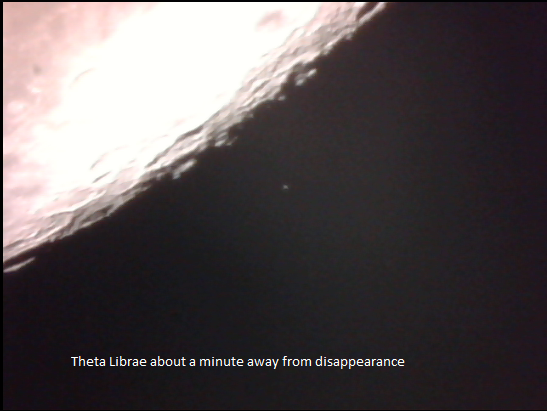 The highlightof the observation was a Lunar Occultation of a 4th Magnitude star. Special thanks to Mr. Samir Dhurde from IUCAA, Pune for giving us access to the location and necessary arrangements. Location: Science Centre Terrace, IUCAA, Pune. 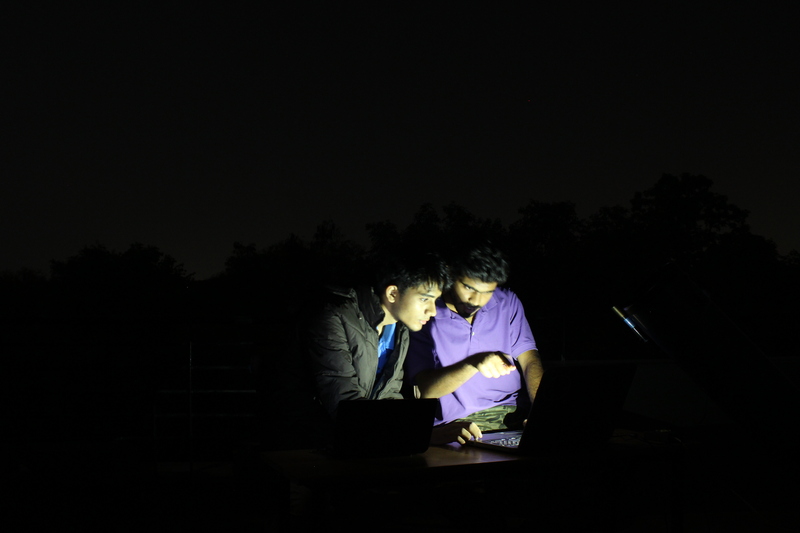 Instruments: 6 inch Sky watcher telescope, EQ-3 mount and drive, Logitech webcam hacked, Acer Laptop, Chetan’s Laptop, Canon 600D, Tripod. 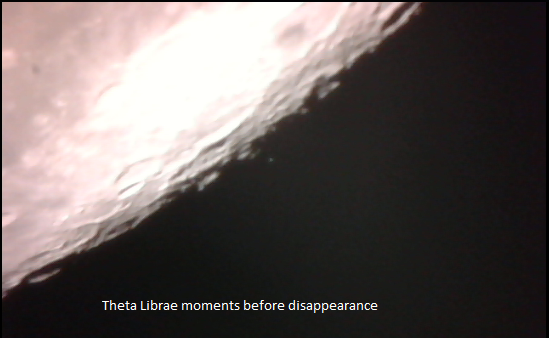 Highlight of observation: Occultation of theta libra star by Moon. 23:25 – 23:34 Final video capturing started. Disappearance was successfully recorded. However, it happened so quick that we didn’t realise for a few seconds that it had gone. We didn’t know how to stop the video capture and save the file. We had to have a telephonic conversation with Arvind Paranjpye to work out a solution as he uses this software frequently. 00:30 – 00:45 Identifying the crater area from where the star would be expected to re-appear. 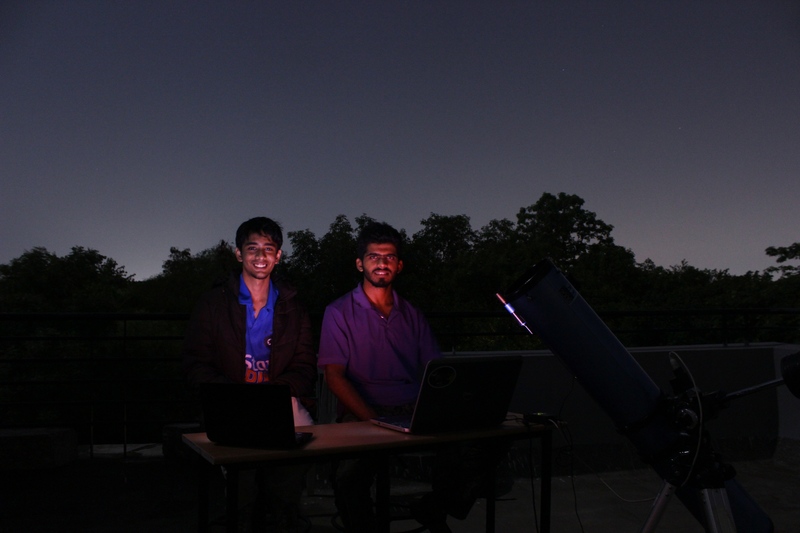 We used Stellarium as well as a mobile app on Chetan’s phone to understand the different craters and finally found the ridge we were expecting the star to re-appear from. 00:55 – 1:08 Star re-appeared exactly at the place where it was expected to and we had successfully captured the same. Video quality was not kept high in the new software due to which a little image detail was lost. 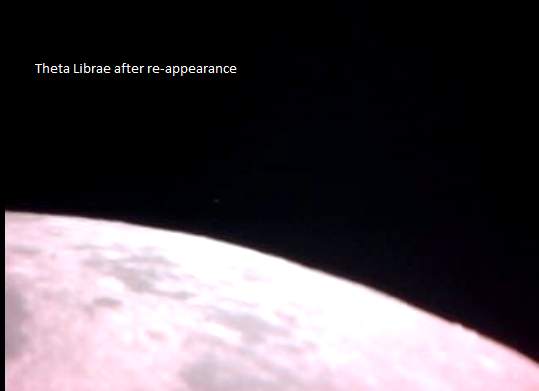 1:30 -2:15 Video files of Saturn were captured using this webcam. 4:15 – 5:15 Observed Cassiopeia and Andromeda galaxy in the Northern Skies. Tried photographing the same at 15 – 20 second exposures and caught the galaxy in them.